As a cornerstone to the growing startup community in Philadelphia, NextFab’s RAPID Hardware Accelerator continues to evolve. The program’s success has begun to speak for itself and appropriately, RAPID applicants are becoming more sophisticated and competitive. Venture Services Manager, Todor Raykov is excited about the newest cohort that has just begun the Fall 2018 session. “In each application cycle we get stronger and stronger applications. The startups that succeed in securing one of the four coveted cohort slots have done a lot of their homework before coming to NextFab. All of them had strong pitches and were able to articulate their ideas quickly. They also have strong teams with diverse skill sets and understand their industries well.” Having such a strong foundation entering the program allows these companies to accelerate forward that much more quickly. The four teams in the Fall 2018 cohort are very diverse in the products that they are developing. Hava Health is developing a vape pen that treats tobacco addiction. The pen uses two cartridges, one with standard nicotine oil, and one with a “clean” oil. By seamlessly transitioning between the two, the smoker kicks the “habit” without changing their physical habit. Sage measures soil conditions and controls a smart valve to water plants when they need it. It’s compatible with a standard garden hose thread and can control sprinklers, drip lines, soaker hoses, etc. APO Technologies provides a calibration and monitoring system for prosthetic limbs. 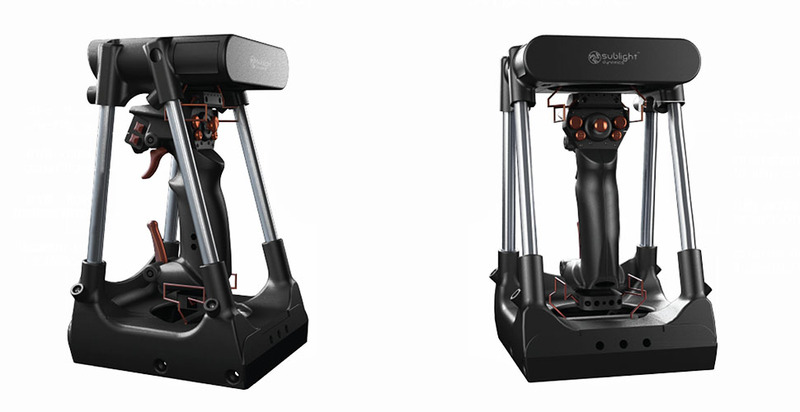 Sublight Dynamics is developing a six degrees of freedom or “6DOF” joystick. 6DOF means that the joystick operates in six axes. It allows the user to move up/down, tilt up/down, move side to side, turn side to side, move forward and back and roll. It has applications in gaming, drone flight, robotics, VR, etc. 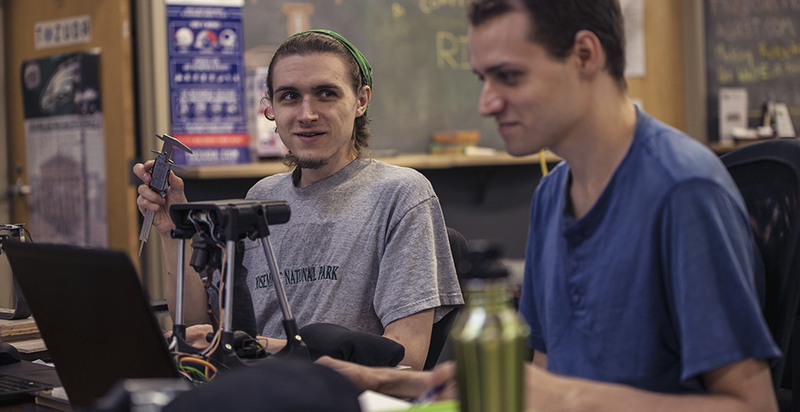 By providing access to a great support network, NextFab hopes to keep RAPID graduates grounded in Philadelphia in the long term. 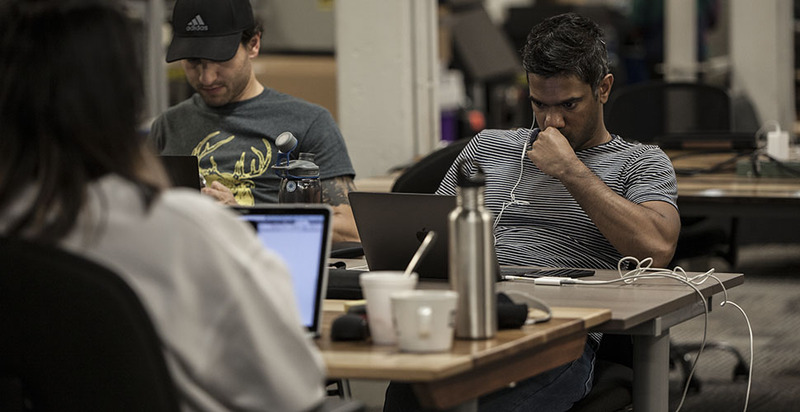 While New York and the Bay Area have been traditional hot spots for startups, Philadelphia has never been in a better position to attract, keep, and grow great hardware startups. As an accessible, affordable and well located city with around 100 schools of higher learning, it’s no wonder that Philly is becoming a hot-spot for startups.